This is a charming book, illustrated in bold, vivid colors that perfectly express the warmth of the story. "A cute story, expressive pictures and lots of noisy sounds for little ones to shout and enjoy." "Children will love the bright pictures as they smile at Sammy's antics. 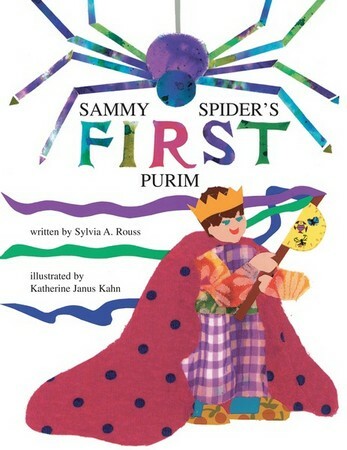 Sammy Spider Celebrates Purim will be a big hit!" Stunning artwork by Katherine Janus Kahn. [This book is] clear, engaging, and informative without being stuffy. Very kid-friendly. "Sammy should be a regular in your home by now."